Mesa, AZ 55+ Active Adult Community in the Heart of the East Valley Phoenix area senior living doesn’t have to include rocking chairs and a television that’s always on. At Encore at Eastmark, the concept of a retirement community in Arizona means active-lifestyle facilities and an endless social calendar. A place to make new friends, have fun and enjoy life to the fullest. A premier Mesa, AZ home location means easy access to more than a dozen golf courses and upscale shopping at Gilbert Gateway Towne Center. Hwy-60 and Hwy-202 take you into Phoenix and Scottsdale or out to the beautiful mountains and high Sonoran desert. Plan your visit today and discover why Taylor Morrison is America’s Most Trusted® Home Builder. Mesa, AZ Homes Feature Lifestyle Enhancing Amenities Every day feels like a vacation when vacation-inspired amenities are located just down the road inside your Mesa, AZ 55+ new home community. The luxurious Encore Club sets the tone for a life well-lived. Relax or cool off at the resort-style pool. Stay fit & heathy at the state-of-the-art fitness center. Explore fresh possibilities and learn new things with a variety of fun & interesting classes. Join social clubs and attend an endless array of events and activities programmed by the on-site Lifestyle Director. We invite you to explore our lively community and check out our online newsletter to learn more about the endless possibilities waiting for you at Encore at Eastmark. If you can dream it, you can do it! Instead of slowing down for your next chapter, put your foot on the gas with the active lifestyle selling now at Encore at Eastmark. 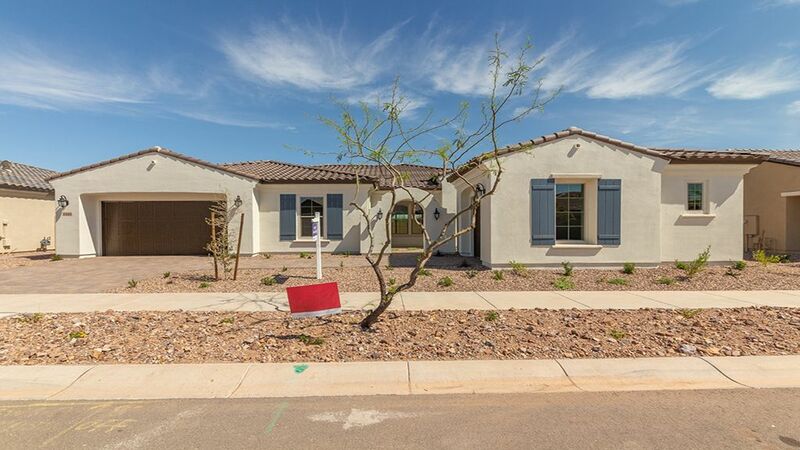 Phoenix Homebuilder Offers 12 Mesa, AZ New House Designs Choose from 12 ranch style floor plans crafted for active living.